Pelling, a town of west Sikkim, located 2,150 m high from the sea level. The gorgeous view of Mt. Khangchendzongz can be seen from Pelling. Pelling is the gateway for the west Sikkim trekking and adventure activities. 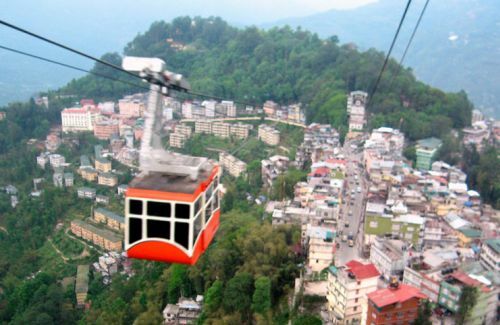 Pelling is 195 km from the state capital Gangtok and about 135 km from Siliguri. The interesting places at Pelling are Pemayangtse Monastery built in 17th century of Nyingmapa order, The Rock Garden, Waterfall near to Rimbi, The Shingshore Suspension bridge- second highest bridge in Asia, The Khechepalri- holy Lake to Buddhists, Khangchendzonga Waterfalls and Rabdency Fort etc. From Pelling to Gangtok via Namchi and Chardham should not be avoided. 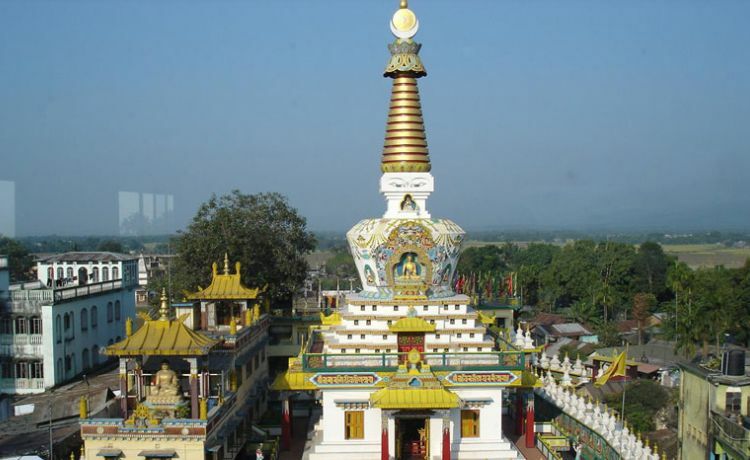 There is a 135 ft. high, massive statue of Guru Padmasambhava on the Samdruptse hill. The other Hindu Pilgrimage Center Chardham has 87 ft. high Lord Shiva statue on the sitting posture at the Solophok Hill. There are 12 Jyotirlingas as well. Gangtok is located at 1,650 m high from the sea level, a beautiful town of East Sikkim. Gangtok means ‘Hill Top’- a center of Tibetan Buddhist Culture and Learning. 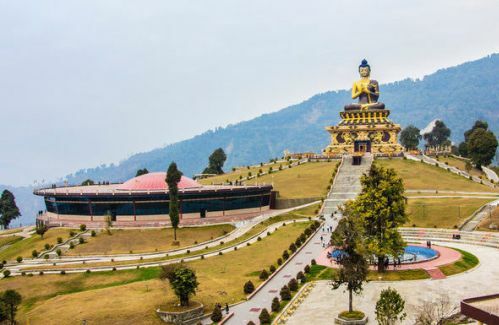 There are Enchey Monastery, Rumtek Monastery, Thakurbari Temple, Himalayan Zoological Park, Zawaharlal Nehru Botanical Gardens and other touristic places there. 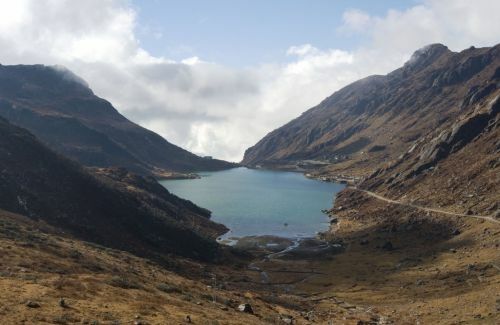 Your visit to Gangtok will give you the essence of travelling the Himalayan country. Darjeeling is at an elevation of 2,042 m. It is noted for its Tea Industry, Darjeeling Himalayan Highway. Darjeeling has pleasant summer and the clear winter despite its coldness. It is a holiday resort during British rule. Trekking in Darjeeling is a unique experience. This is the home of many different species of flora and fauna.The points of interest in Darjeeling are: Tiger Hill, Darjeeling Himalayan Railway, Padma Naidu Himalayan Zoological Park, Tea Garden, Batasia Loop, Peace Pagoda and so on. 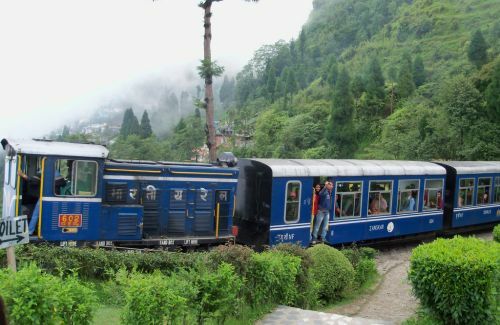 Darjeeling has special connection with ‘T’ as the place notorious for Tea, Teak, Tourism, Toy Train, Tiger Hill and Trekking.